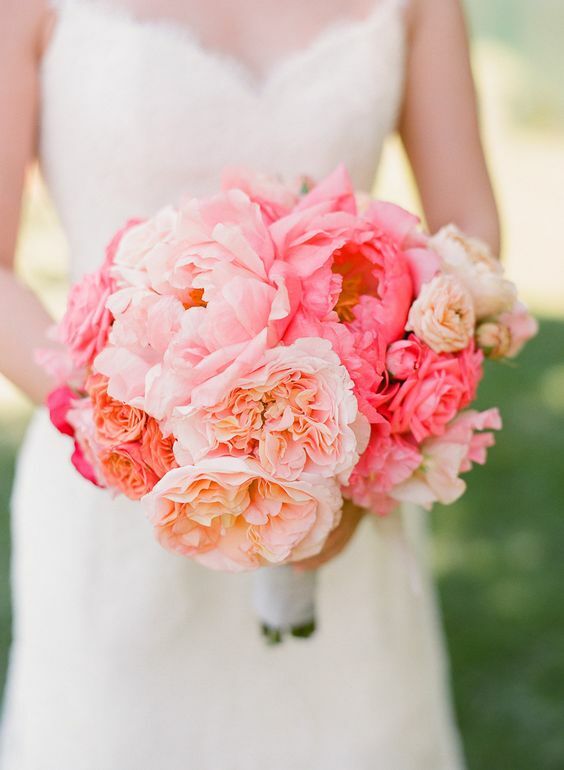 Coral is a go-to color for the bride who wants to turn heads walking down the aisle. 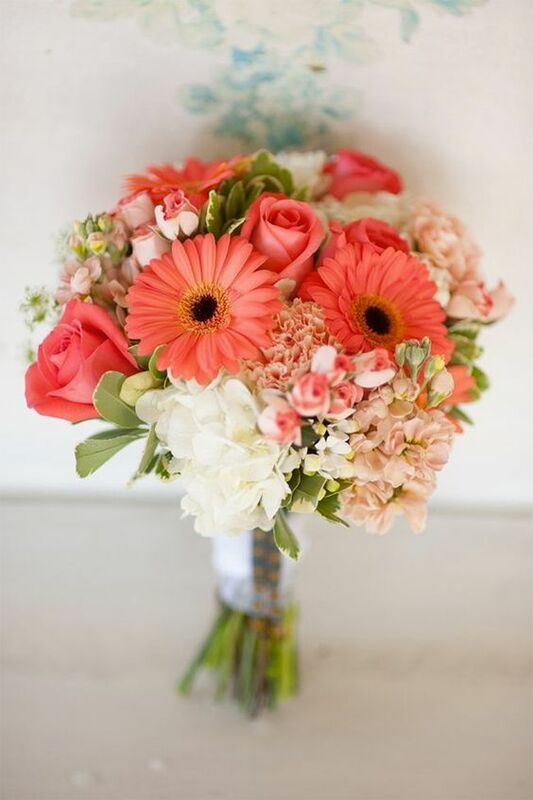 Orange-pink gerbera daisies add charm to an elegant bouquet. Make a romantic impression by complementing the hue with punchy pink. 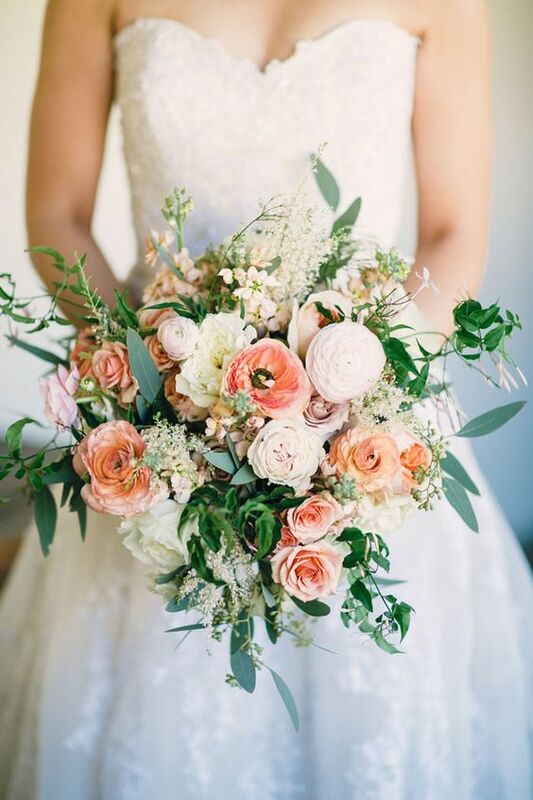 A loose bouquet of coral, white, and blush with fresh greenery evokes natural romance. 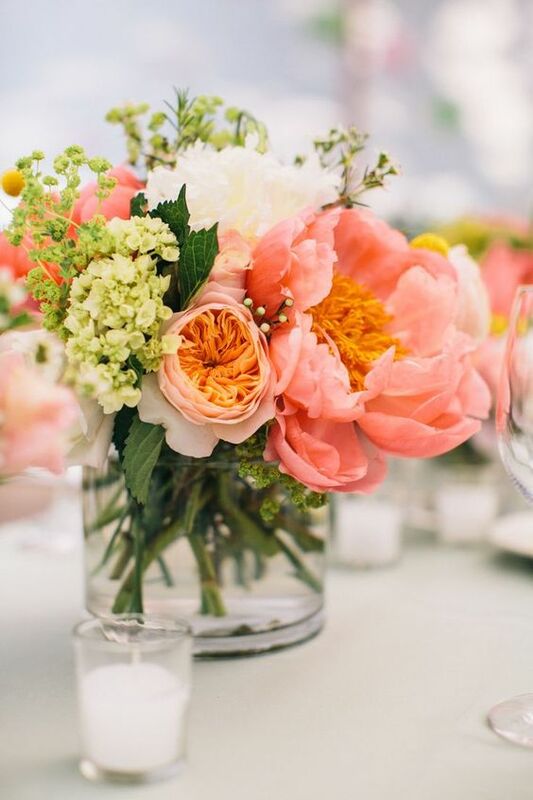 Set an unforgettable scene for saying “I Do” by incorporating shades of coral in ceremony décor. 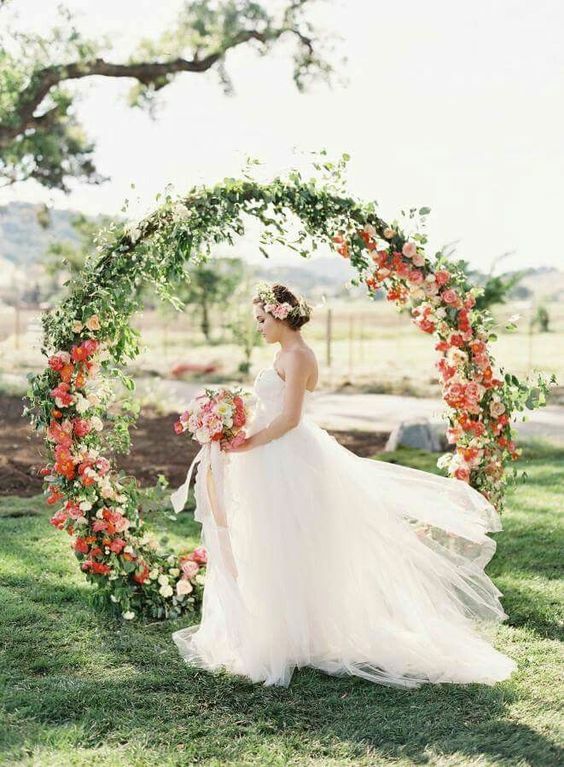 Modern in form, the circular wedding arch gets an enchanting makeover with lush, vibrant blooms and greenery. 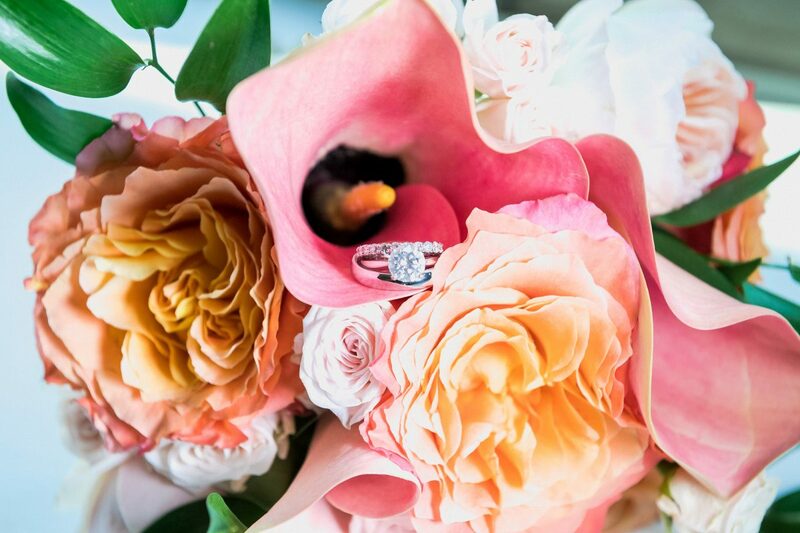 A burst of voluminous, textured florals in a peach-pink palette encapsulates joyful love. 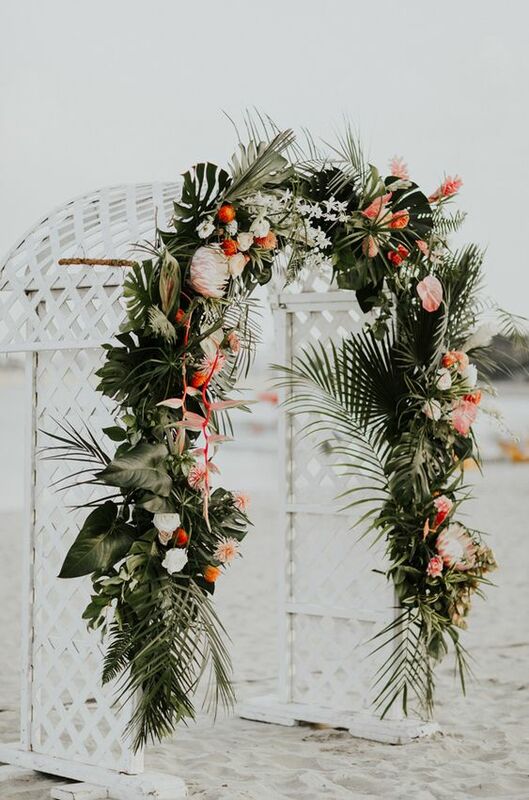 A natural color of the ocean, coral adds a vibrant pop of color to a tropical inspired wedding arch. 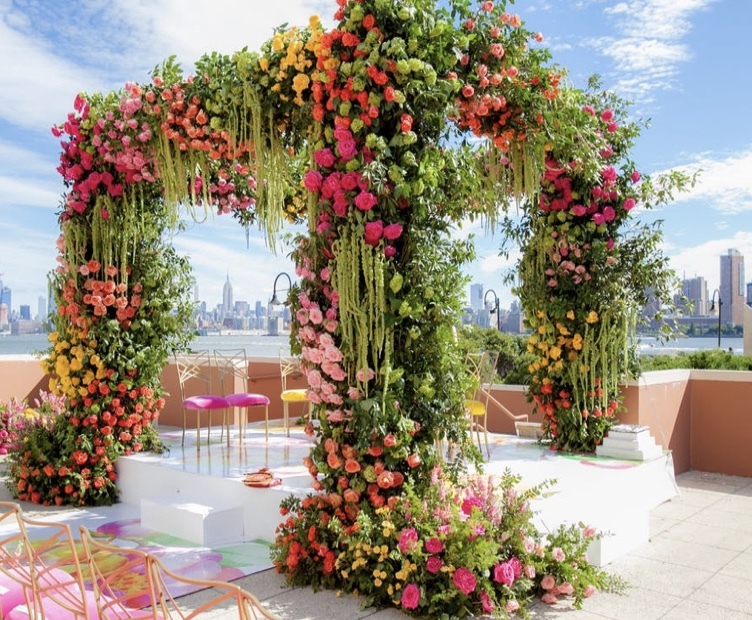 A four-post wedding backdrop featuring an exuberant palette of coral, orange, pink, and yellow exceeds our wildest floral fantasies. 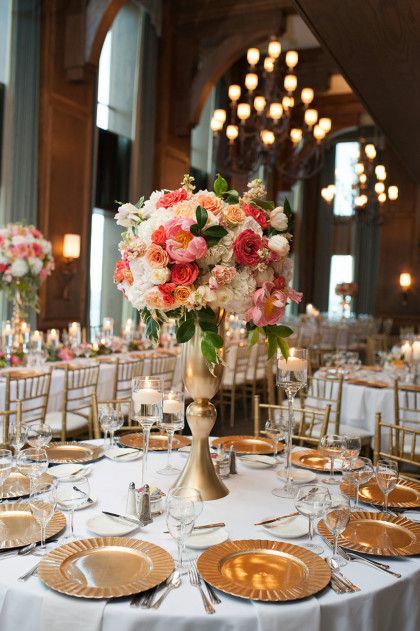 For an opulent take on the coral trend, set your sights on a high centerpiece of gorgeous blossoms complemented by gold accents. 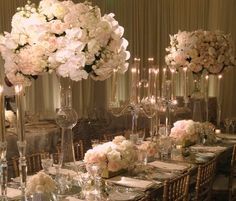 Cast an ambiance of a Queen’s countryside picnic with a flourishing low centerpiece set in a gilded compote vase. 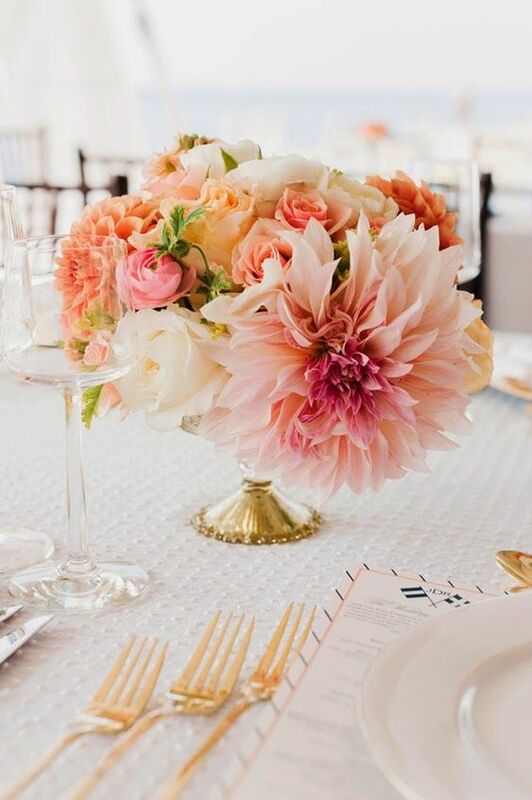 Simple but oh-so-pretty, a tablescape adorned with petite arrangements paired with votives creates an inviting, relaxed mood for everyone to enjoy. Newly engaged? 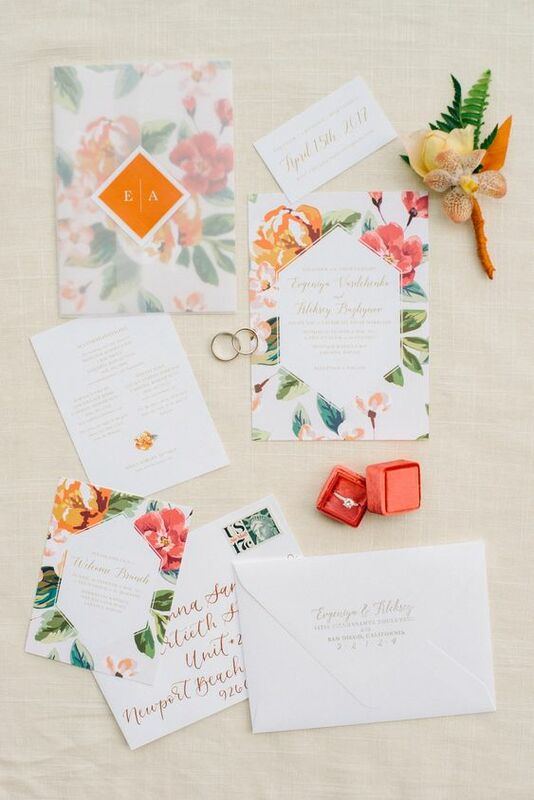 Work coral into your color scheme from the start with the invitations. 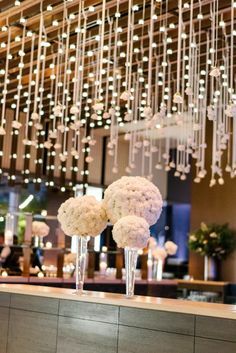 Set the tone for a strikingly festive day with an invitation suite embellished with brilliant painted flowers and greenery. 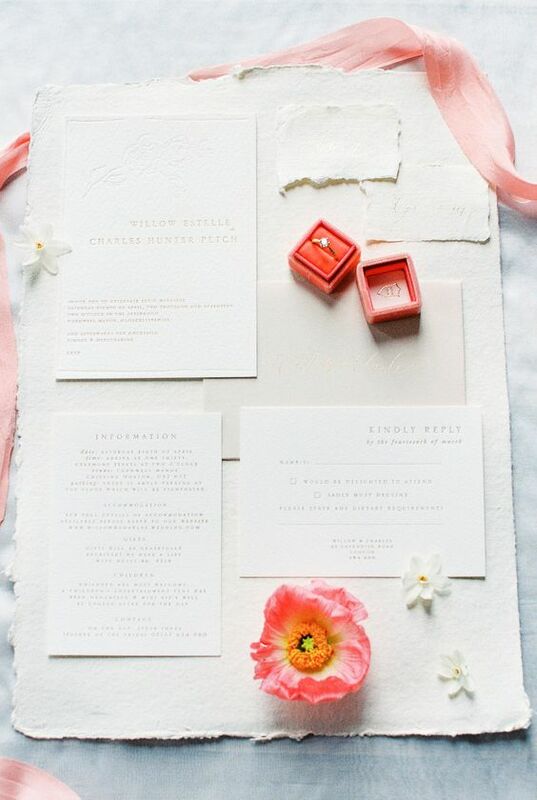 Accent elegant letterpress stationery with an exquisite coral silk ribbon. 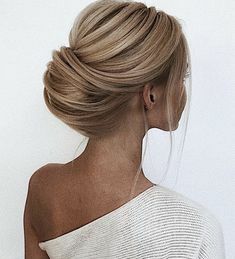 Because coral flatters most any complexion, it is an ideal color for bridal party attire. 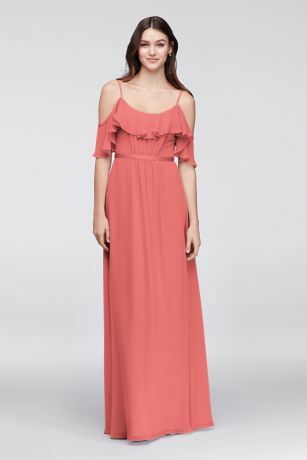 A dress featuring flouncy, off-shoulder sleeves with spaghetti straps and long skirt is delicate and flowing. 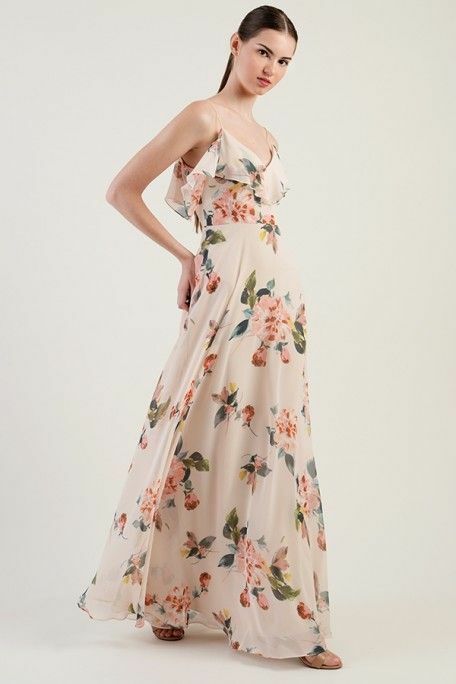 Large florals paired with a stylish silhouette creates a look that is soft and feminine. 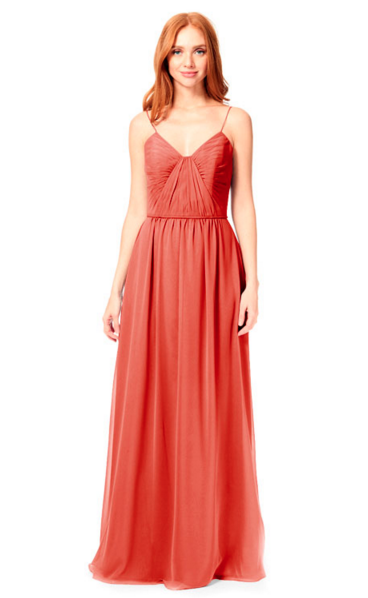 A gown featuring a gathered bodice and A-line skirt is perfect for a summer formal affair. Last but certainly not least, cake! 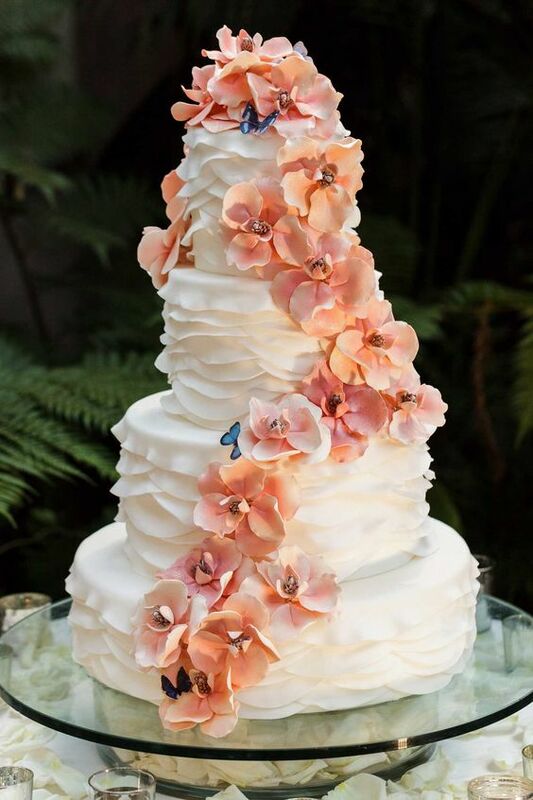 The next best thing to fresh coral-hued flowers are those spun from sugar. 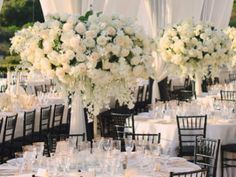 Decorate a 4-tier white beauty with a cascade of lush, petally blossoms. 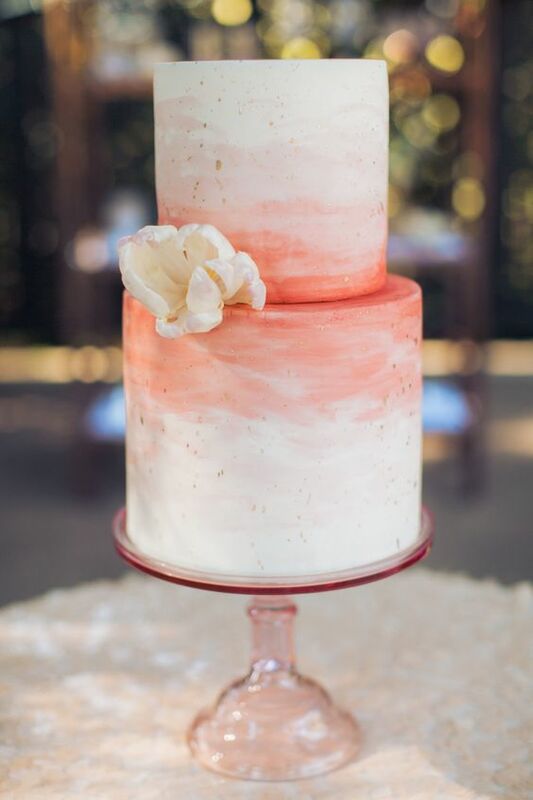 A dessert featuring orange-pink ombre icing with flecks of gold is modern with whimsical flair. We will leave you with this thought from the color experts: “Symbolizing our innate need for optimism and joyful pursuits, PANTONE 16-1546 Living Coral embodies our desire for playful expression.” Indeed! 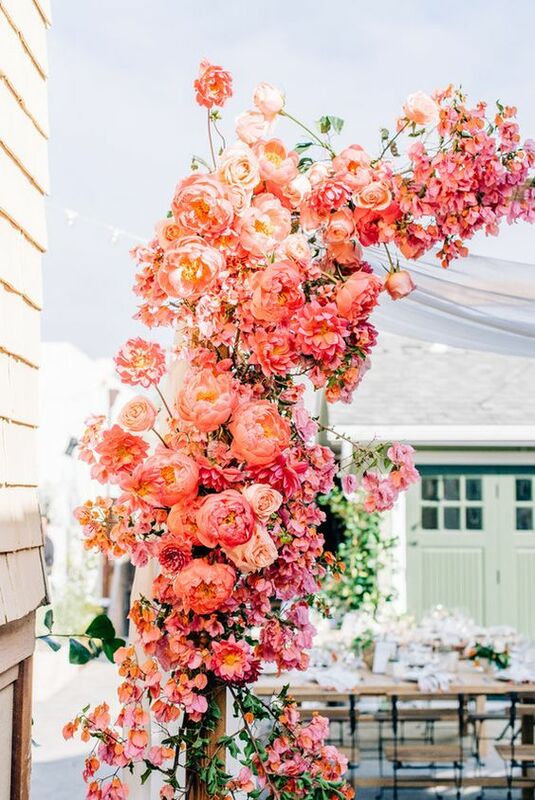 Living coral is guaranteed to bring passion, beauty, and life to your wedding color scheme.